When will Elos come to the UK? Interzoo is coming up again and with one of last time's highlights being the stunning Elos aquariums and equipment, why is no one selling them in the UK? I've just been looking back through the product shots and even at the podcast that we did at Interzoo 2008. More aquatic products are launched there than anywhere else in the world and we saw some truly stunning aquariums, yet we still have seen no sign of one of the real show stoppers, Italian company Elos. In looks and quality this company's range is a real contender to Aqua Design Amano. 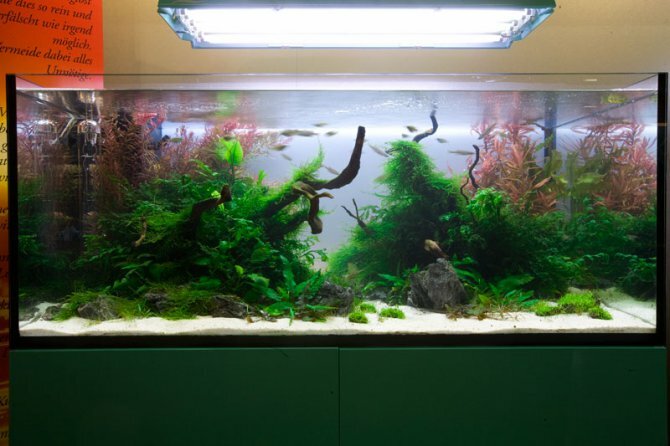 Slick lines, contemporary designs, new colours - Elos's aquariums and equipment just ooze quality. The aquascapers choice in both marine and freshwater, these tanks combine both design and practicality, being open topped and rimless yet combined with quality LED, T5 or metal halide lighting. The marine models have slimline and minimalist weirs, while the cabinets conceal some quality filtration underneath, and the nanos with their LED lights looked so good Apple could have designed them. But two years on still no sign of Elos being sold in the UK. The online dealer locator reveals nothing, meanwhile other European countries, the US and Japan are filling their boots. We contacted them - nothing. All we can do is admire their stunning aquariums from afar and dream. If they exhibit there again this year I want answers! So come on Elos, let us UK hobbyists get a piece of the action!